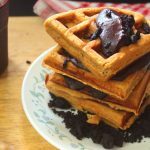 Keto Coconut Flour Waffles - Headbanger's Kitchen - Keto All The Way! I’ve made almond flour Keto waffles and peanut butter Keto waffles. So it was time to make a batch with coconut flour because it is very different and needs it’s own recipe. Not to mention I constantly get asked ‘can I make this with xyz flour instead’ on almost every video which is why I often make many versions of the same item. I also used my Keto nutella to make an incredible chocolate ganache to go with it and also some left over Keto cake to make a black keto cake soil. If you saw the video there was my Keto Chocolate cake that I used to make a lovely sort of dessert ‘soil’ with and then I just layered waffle ganache waffle ganache and made the tower. This is obviously extremely decadent and I would recommend this only for special occasions. You can alternatively just skip all the fancy chocolate stuff and eat it with some butter and sugar free syrup for breakfast. If your not a coffee fiend like me, then you can skip that for a plain waffle, I would recommend adding some vanilla extract. Anyway enough jibber jabber. Happy eating. This recipe makes 1 waffle. 1 Waffle = 1 Serving. Get this recipe on myfitnesspal. Delicious waffles that are low carb and Keto friendly. Microwave the mascarpone cheese for 30 seconds to soften it. Add all the ingredients and whisk together. Add the extra cream if the batter is too thick. Heat your waffle iron and pour in the batter. Remove when done and serve. hi Sahil, im a little unsure about your serving size. is the entire thing 1 serving or is the entire thing 4 servings. i suppose my question is is 1 serving = 1/4 of the waffle? Hey Sahil, can I make this without the eggs? 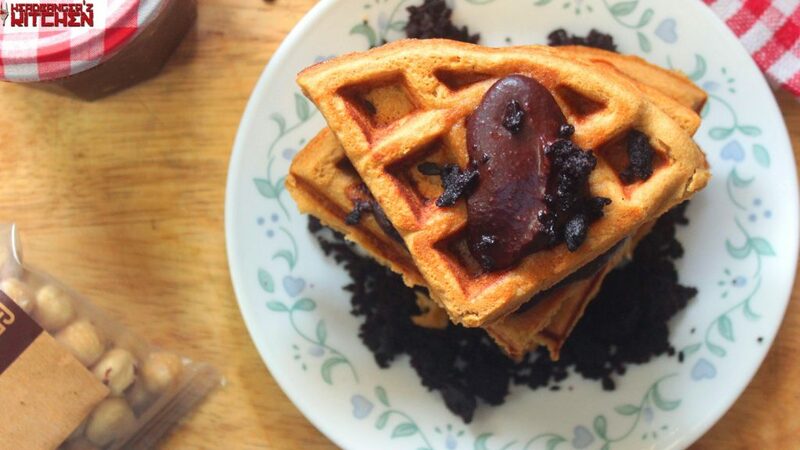 Can you suggest a Keto waffle recipe without eggs? Thanks! WOW! Just made a big batch of these! I left out the coffee powder, but, MAN!, are they gooooood! Really sturdy and substantial. Hi! Can I use cream cheese instead of mascarpone? Yes it should be no issue. Are the macros only the waffle or does that include the toppings?